Love seafood? If you love crab you will love these Crab Sliders! If you love seafood like I do, especially crab then you will definitely love this crab sliders recipe. It’s easier to make than you think and it’s always delicious, I’m getting hungry just writing this! If you have any of the fresh versions of the spices such as the garlic feel free to substitute, we just like to include ingredients that people are most likely to have in their kitchen. I use fresh garlic when I can as I usually have some on hand, but if using fresh you may want to use a little less as it’s more potent. Fill a large pan with 1 to 2 inches of water. Bring to boil. Add crab legs. Boil for approximately 5 minutes. Remove crab legs from water. Set aside and let cool. Dice green onion and tomato into small pieces. Slice lemon in half. Set aside. Add butter to small microwavable bowl. Microwave for 1 to 2 minutes or until butter is melted. Set aside. Use hands to break lobster apart at joints. If you can pull crabmeat from shell without breaking further, go ahead. Otherwise, take knife and make one continuous cut down each shell. Pry shell open with fingers and remove crabmeat. Cut crabmeat into various sizes. Place crabmeat in medium mixing bowl. Drizzle 1 tbsp. melted butter over crabmeat. Stir. Add diced green onion, diced tomatoes, mayonnaise, freshly squeezed lemon juice, onion powder, garlic powder, salt, and pepper. Stir. Place in refrigerator. 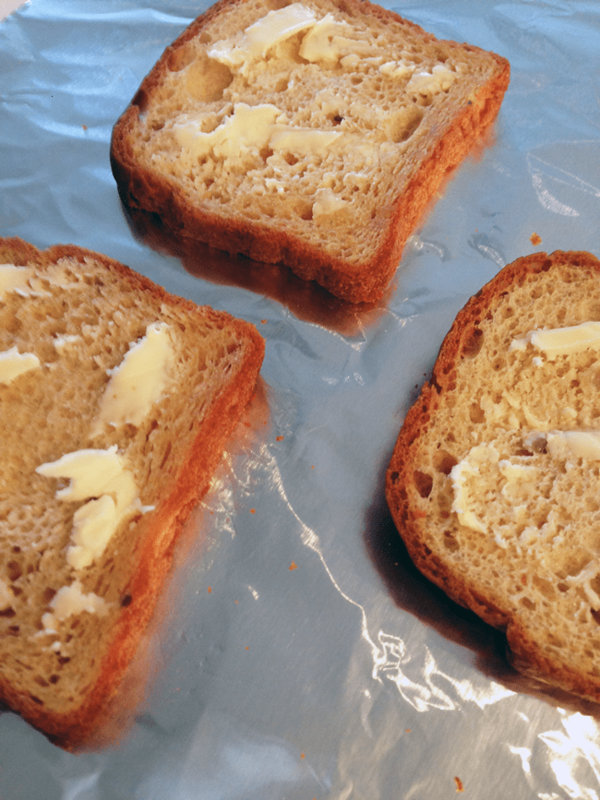 Lay 8 slices multi-grain bread on aluminum foil sheet. Take a round drinking glass and press down over each slice. This will create slider size top and bottom buns. Drizzle 1 tbsp. melted butter on top of slices. Place in oven for 3 to 4 minutes or until just crispy (rotating sides halfway through). Remove bread from oven. Scoop crabmeat mixture onto bottom slices of bread. Add top buns. Plate your crab sliders onto serving dishes and enjoy this seaside staple! Best served with potato chips and an ice-cold beer or orange soda. Cool Tip: You can even use the crab claws as picks through each slider to hold them together. Now go and enjoy this delicious recipe. I love crab how about you? Let us know how you like it! This sounds great and thank you for sharing this recipe with us. Love all seafood!Looks very good! This sounds SO. GOOD. I love crab in everything! This looks delicious and would make a great summer meal! This recipe looks delicious and it’s the perfect meal for a evening in the summer. This does sound wonderful – I’d get the crab legs from whole foods, too. Nice! I can imagine this is what they would serve in Heaven! Yum yum! These look absolutely wonderful! Thanks for sharing!! This would be good eaten on lettuce. Bread is too heavy for me. I love crab meat. Especially freshly caught, boiled up and dipped in butter. Yum – this looks so fantastic! It’s sure to be a hit with my family of crab lovers! Will be trying this recipe! This looks delicious. This would be great in spring/summer. Very light and fresh. The crab salad would be great also stuffed inside a garden tomato! The crab sliders look so colorful and delicious.I love seafood and have tried many seafoods but these sliders are new to me and so I am excited to try them! This recipe would great way to change things up at get-togethers where sliders are served! People love sliders, but not everyone goes for burgers. This looks delicious! I love crab, but have never had anything like this before! I have never tried this. But it does look delicious. I’m new to eating crab meat… these sound absolutely delicious. I’d love to try themm! this looks so good. i can’t wait to make it. I love crab cakes and this looks delicious! That looks summery, very light and colorful. I could eat crab meat every day and not tire of it. I love seafood and these crab sliders look so delicious. I am always looking for new recipes when I have guests. This looks so wonderful. This looks so fresh and delicious. I’ve never had crab on a sandwich. Would love to try this. This looks delicious! Thank you for this recipe. Yum, this looks delicious, I definitely need to give this a try. Thank you for sharing this recipe. I LOVE “FINS”!!! My hubby fishes, but is not crazy about eating them – go figure! So for Mother’s Day or my birthday, Red Lobster here I come!! This recipe – with the garlic – sounds heavenly & is making my mouth water!! THANKS for sharing from this fish lover!! I love crabmeat. These sliders look delicious!! Thank you for the recipe!! I love crab, this looks so good. I luv crab anything and this recipe is right up my alley. Thanks for sharing! I HAVE to make this for my daughter-in-law, she LOVES crab meat. We always joke about her being able to get every smidgeon of meat from the legs, usually in one piece! It I’m off to pin this recipe now! This looks delicious! Although I have never tried recipes that included crab, I definitely will try this. Thank you for sharing! Now this recipe really caught my eye! It looks so delicious! I love crab and new recipes to try! Thank you for this mighty fine recipe. I think this is a great idea, especially for Hors d’oeuvres. This sounds very good. I love crab, I will have to try this! I’ve never thought to use king crab to make sliders. Brilliant! My husband and I haven’t been crabbing in years. I feel like making a weekend trip out it and driving to Maryland this summer. Fresh is best. I just wonder if that same place we stayed is still open. These look amazing!! pinning this recipe right now!!! My husband and daughter love crab cakes – these look great! I want to eat these on the beach. Too bad it’s 1,000 miles to the nearest one. Yum. There are so many delicious recipes using crab meat. It works well because of it’s mild flavor. This looks amazing! Will definitely have to treat myself and try this recipe sometime this week. Thank you for the recipe. I have never tried crab. But it looks like something that I would try. I hope crab legs go on sale soon. I like them but they’re kind of expensive. At least where I shop they are. I’m running out of things to say. I really enjoy crab meat and this looks tasty. my husband will love this. I want to apologize to you for saying the same thing over and over again! Mom Does Reviews has a giveaway in which we have to comment on the same reviews every day! I want to thank you so much for your patience with this! Thanks so very much! My mouth waters looking at this! Can’t wait to try! I love seafood, especially crab. This is a simple recipe and looks and sounds great. Thanks for sharing. You know I’ll be making these real soon. I’ve noticed that everyone seems to be going with all organic and glutten free. Isn’t that more expensive? This looks delicious. I have not tried it yet. But I am willing to. This really looks good. I can only eat a little bit of crab at a time. It is usually too rich for me but I like it. I like the recipe. I love seafood. Only if it’s very mild. I’m very picky when I eat it, it must be fresh. I LOVE, LOVE, LOVE crab prepared any which way. This recipe is making me drool. 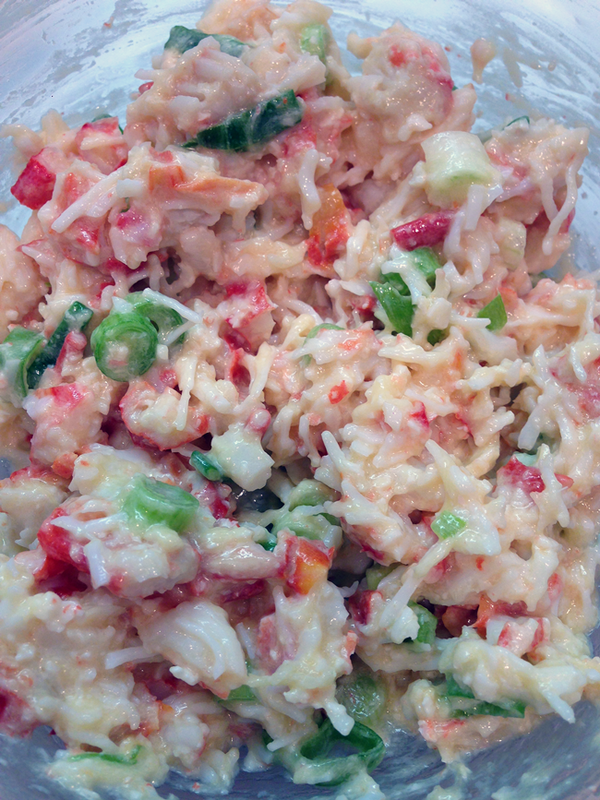 My husband loves crab and this looks like a delicious recipe! Yum!! Looks like a delicious idea for lunch or brunch! I love crab so much. This looks like a great summer recipe. This sound great for dinner or lunch. Thank you! Yum, yum, yum! But I’d be the only one to eat them since no one else in the house will eat seafood. It sounds good to me. I couldn’t eat it on bread though. I’d have to have it on a piece of lettuce. Such a great recipe. The sliders look very appealing. The ingredients and instructions sound simple enough. This looks so good, I want to get in the kitchen right now. Thanks for sharing. Okay, this recipe is making me drool. We just went out for date night two nights ago and I ordered a lobster BLT. This recipe looks simple and delicious. I will have to try it out this coming weekend. 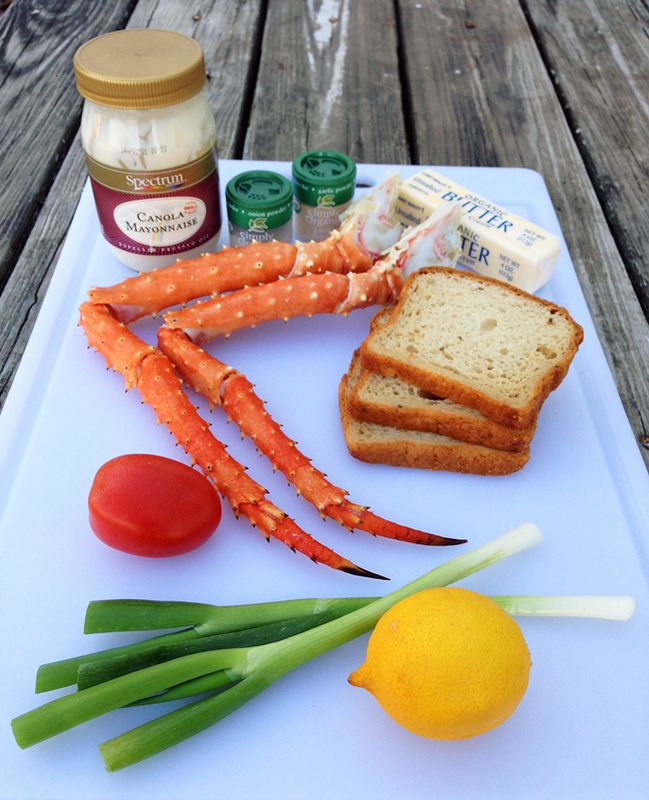 This Crab Sliders Recipe looks yummy! I have already pinned it and plan on trying it out. Thanks! Have got to try these. Look wonderful! These sound so good and you are right that they sound easier than I thought they would be. I will be trying these soon. Thanks for sharing. This Crab Sliders recipe looks delicious. These look really, really yummy! We don’t eat much meat in this house, but crab is usually an exception for me. There’s just something about it that makes it a favorite of mine! I love sliders, this is the first time I’ve heard of crab sliders before; they look delicious! Thanks for posting! I am going to have to buy all the organic ingredients, but it looks so delicious, and seems to be easy (27) that I should be able to make it (does it freeze well, I live alone? Oh my gosh that looks so good. I love crab. I’ll have to try this! This sounds amazing. yummo! I need to try this recipe. ooooh hubby would love it! I love crab meat. We used to go cabin camping and crabbing. The fresh crabmeat tastes so good. This is fantastic.I will be making this tonight.thanks so much for sharing. oh these crab cake sliders look so good. I’m going to try making me some. I love sea food. I’ll have to try this. Thanks for the recipe. I love crab and this looks like a delicious recipe! I do love the Crab Sliders recipe. This looks divine! boy oh boy does this look good – must go with some sunshine and a picnic table!! Yummy, look so good thank you for sharing on here. I got to try this recipe on here. The crab sliders sound very appetitizing and good. I am not a huge crab fan but these makes my mouth drool. Oh this would so be worth the effort of getting the fresh crab from the legs! Ohhh, YUM!!! I have got to make these! They look so good! 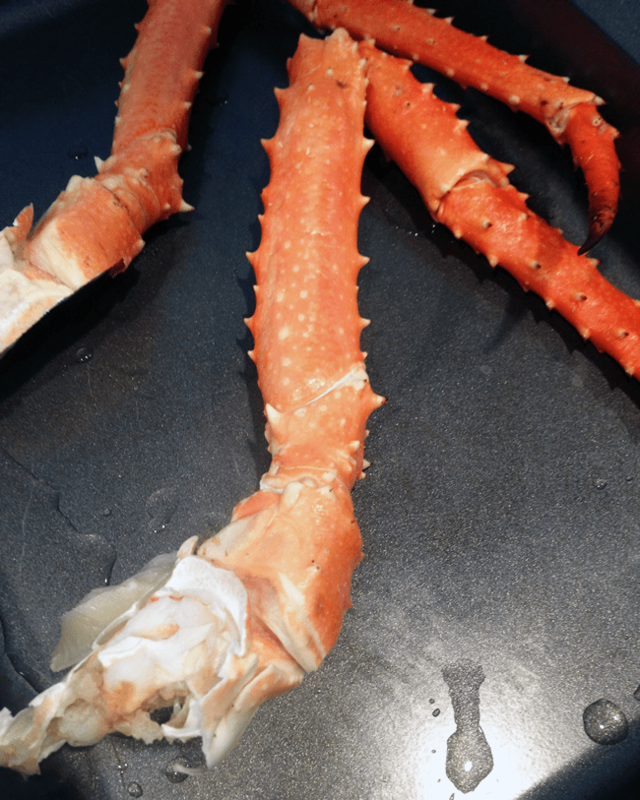 I have always wanted to try King Crab and these look delicious. I love that you toasted the little bread. Definitely something that I am going to try this summer. Thanks for the great post. This looks scrumptious and my 25 year old son will love them. Thanks for passing along such wonderful recipes and thephotos so I know what it’s supposed to look like. We love crab, and I want to make crab sliders soon. This recipe looks so delicious! I love sliders and I bet that Crab Sliders are awesome! Oh my goodness! This sounds so delicious! I really like that you used gluten free bread, my daughter can’t have gluten so that makes it even better. Plus I love crab! I will totally be trying this recipe. Thank you! Ooh these sound delicious, I will have to make these! Thanks for the Post, Recipe, and the Pictures! This looks like a super recipe. I will have to try it this summer. I would love to try this,it looks very tasty!I have never had crab legs any other way except for in gumbo. Looks delicious! I am from the east coast, of course I love this! This is to funny i was looking for a crab recipe and walla here it is !! Thank you looks delicious! Vibrant pics. THanks for sharing. I recently gave a big newspaper article to my senior father about “Living Longer” that was with the Boston GLobe. It stated for older people to eat 22% less and to cut out all meat except for seafood as substitute. This looks so good! I never had crab before but I am going to try it now. Gorgeous picture! It does this little slider justice. The recipe looks fabulous and I plan to try it as soon as I get some fresh crab. Yum-0! I LOVE seafood, especially crab. This looks so yummy! I will have to try this soon. This recipe looks so yummy gonna have try it! So wonderful!! This recipe makes me hungry right after I have already had my dinner!! I freaking LOVE crab! This looks so delicious! I have never tried crab,but these pictures make me want to.